4-H is a national program designed to develop leadership skills in its members. 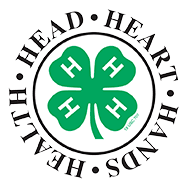 4-H members are students from grades 3 - 12. Younger than that? That's okay! There is a club for you little ones, too! Mini 4-H is for grades K - 2. 4-H members come from all walks of life. Some members live in cities, some in the suburbs, and yes - some live in the country. Everyone can enjoy being in 4-H, no matter where you live! 4-H members work on projects that they choose to do based upon their interests and their family's budget. Projects don't have to involve raising animals to show. You don't HAVE to live on a farm and raise animals to be in 4-H! 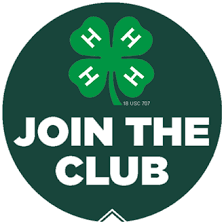 Students register to join 4-H Clubs from October 1st through January 15th every year. Students in grades 3 - 12 can join by applying here. Students in grades K - 2 join Mini 4-H and can join by clicking the same link! Want to know more about 4-H? Click here.